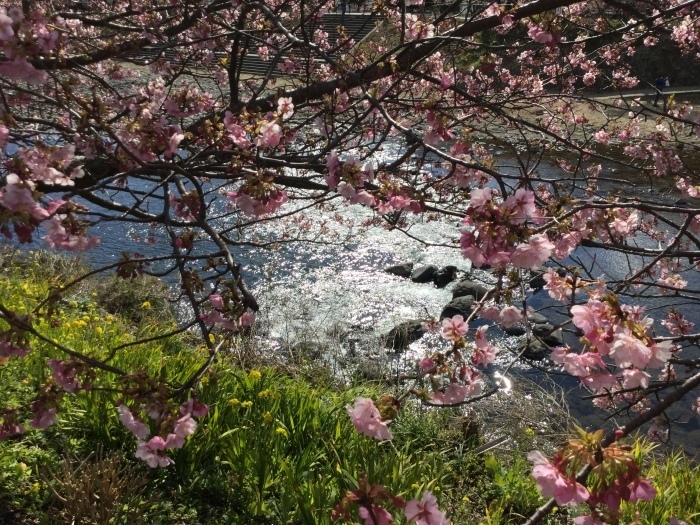 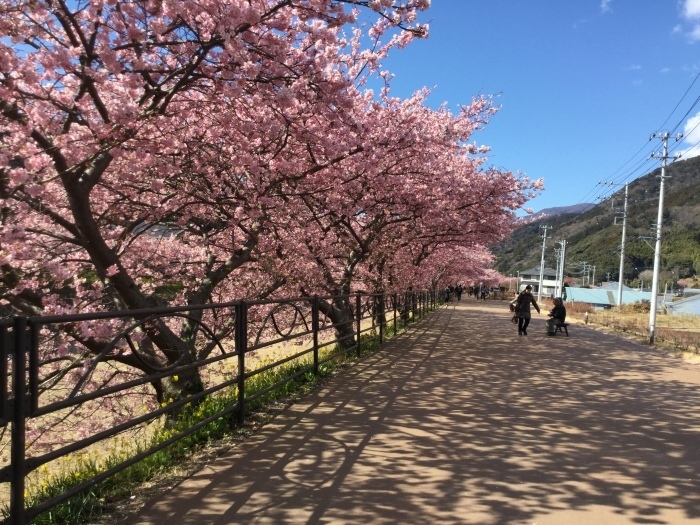 Kawazu cherry blossoms are noted for its early and long lasting blossoming. 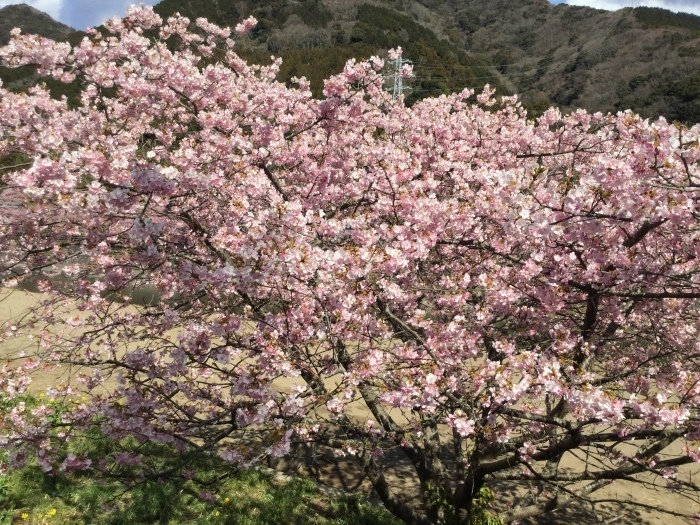 The colour of the blossoms is deeper pink than Someiyoshino, the most popularcherry blossoms seen all over Japan. 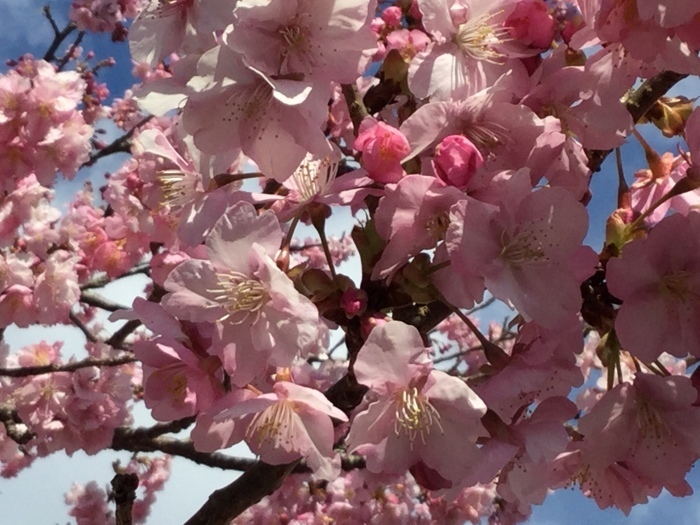 My photos above were taken on the St. Valentines Day. 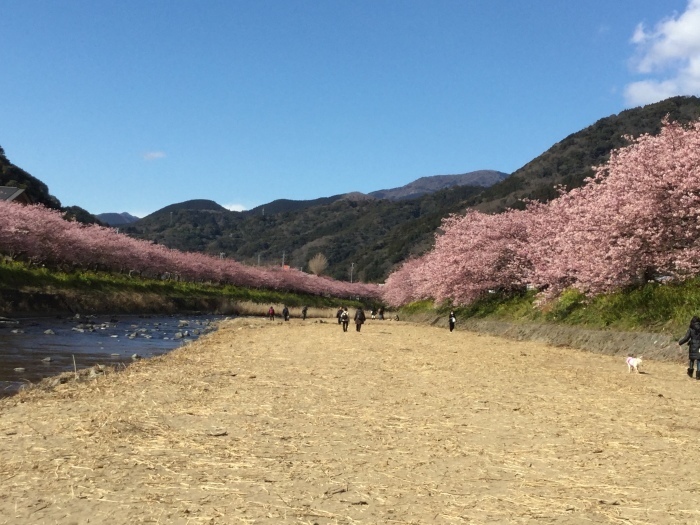 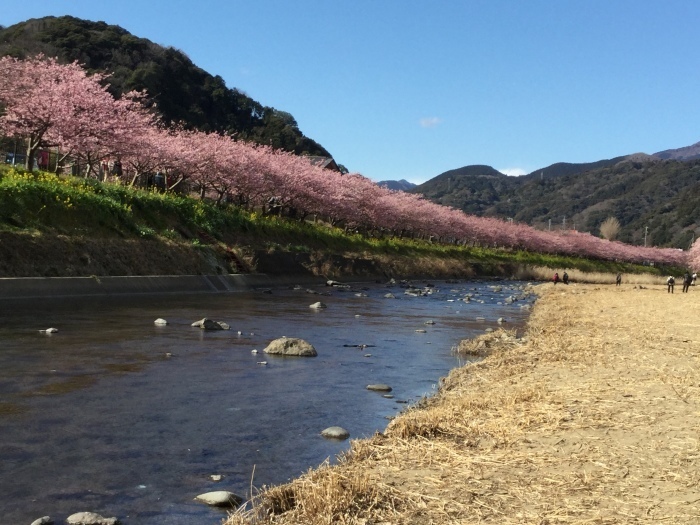 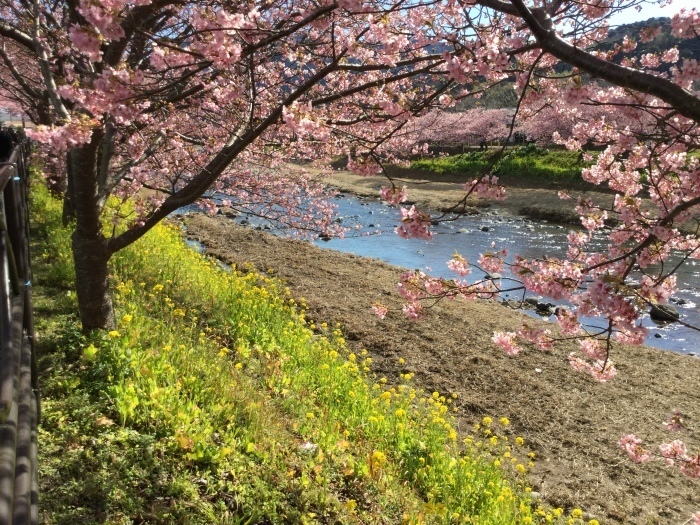 Thousands of Kawazu cherry trees planted on the both banks of the Kawazu River. 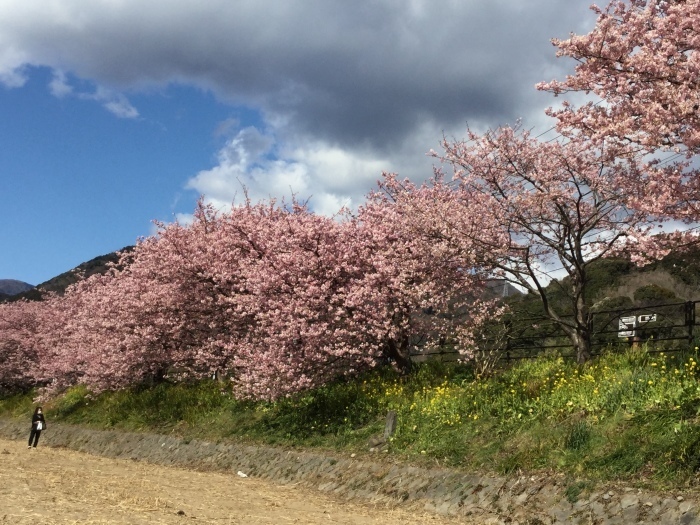 The view draws you into the world of Kurosawa's film, "Dreams", although the blossoms in the film are of peach ones.